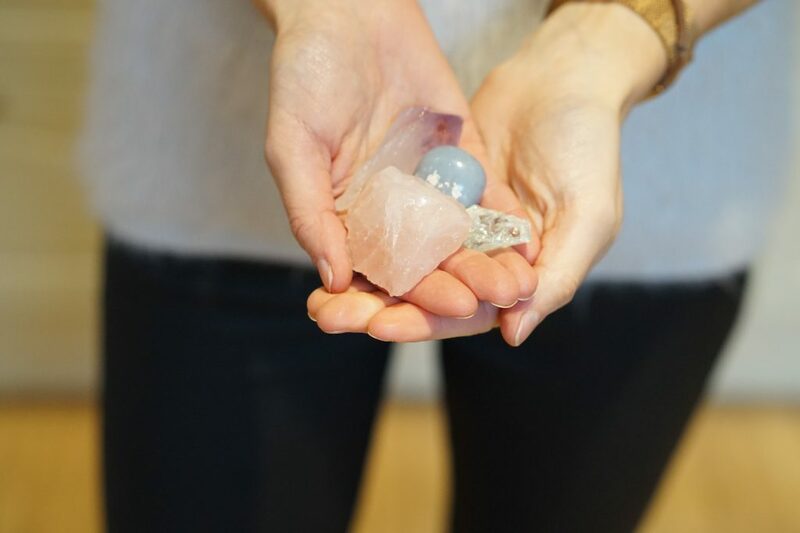 I mentioned at the end of last year that I’d been implementing crystals into my life (in my ‘Alternative Tips for Anxiety’ post) and I’ve had so many questions about them that I thought I’d share a little more about my journey. Now I’m in no way an expert, I’ve been using them for a matter of weeks so this is more of a beginners guide/ my experience as a beginner. Most of what I know is what I’ve researched myself so I’ll make sure to give lots of tips for how I got started! 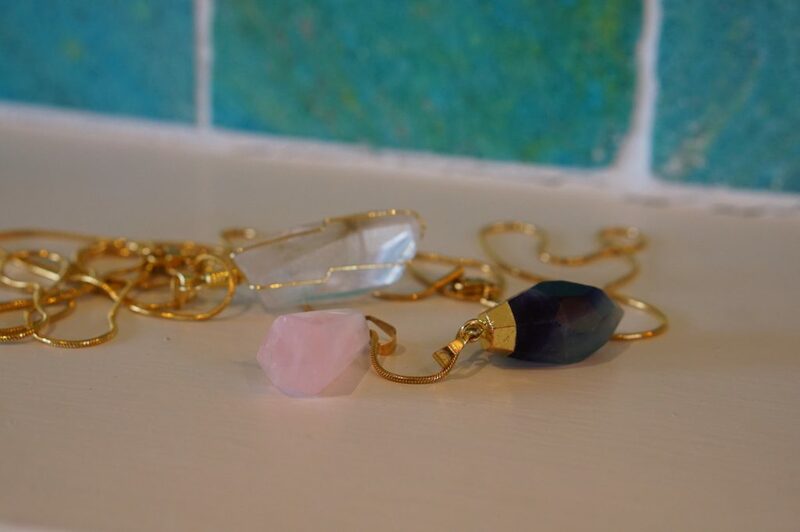 I’d been thinking about using crystals for a few months prior to purchasing my first one. Every time I saw one on social media I’d find myself really drawn to it and I started watching videos on youtube like this one by Jenna Dewan (yes that’s Channing Tatums ex and a total babe) and I followed Instagram accounts like @_wolfsister. It wasn’t until early December though when my mental health took a bit of a downward turn and I felt swarmed by anxiety and depression that I started to look into which ones I needed and where I could get them from. I browsed on Amazon but I had no recommendations for stores on there and worried a bit that they wouldn’t be genuine; plus I’d read so much about physically picking out the ones that you’re drawn to and them being cleansed that I just thought in person would be my best way to start. I headed to a local shop to me called Craft Crazy where I planned to pick up Rose Quartz to heal my heart (google research) and Amethyst (recommended minutes before by a spiritual healer). When I walked in I gave a brief overview of what I was going through and the man behind the counter recommended Citrine, the sunshine stone; however the lady told me to simply scan the crystals with my eyes, pick up what I was drawn to and go for whichever ones felt right. So, with that in mind I started scanning and I was immediately drawn to a Jasper stone for happiness and Aventurine for higher spiritual guidance. I also picked up the Rose Quartz, Citrine and Amethyst. After having these for a few weeks, sleeping with some under my pillow, carrying one or two in my bra and holding them in the palm of my hand/ rubbing them with my thumbs whilst working and relaxing I was then really kindly gifted some more. My lovely friend Helen got me a Druzy Quartz necklace for Christmas which I haven’t taken off since. It’s from a California based company called Luna Norte which I believe you can buy from TK Maxx and it comes on a delicate short chain with a crescent moon symbol on a separate slightly shorter chain. 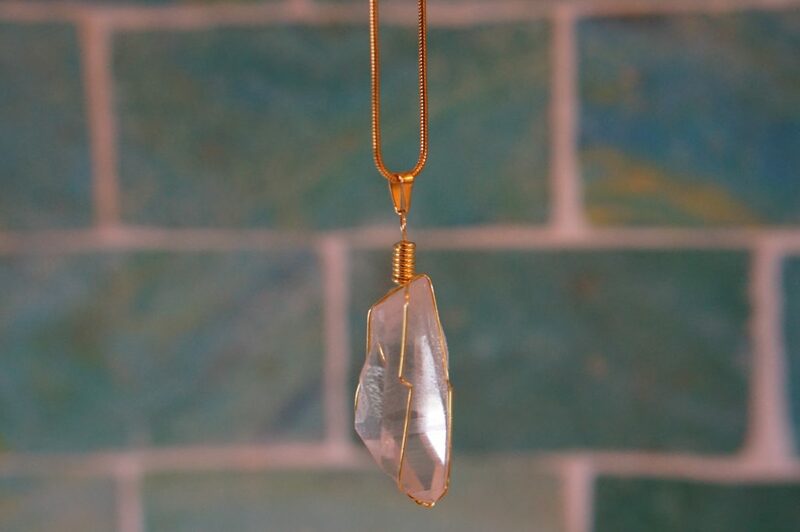 I was then really kindly gifted 4 crystal pendant necklaces from Crystal Harmeny, which is owned by Calum Best. I was given a Rose Quartz pendant, Citrine pendant, Clear Quartz pendant and then a double necklace with both Fluorite and Rose Quartz on. It feels so wonderful to be able to wear my crystals now and carry around the ones that I’m drawn to most each day and I think it looks great combining some of them as I have a mixture of necklace lengths! 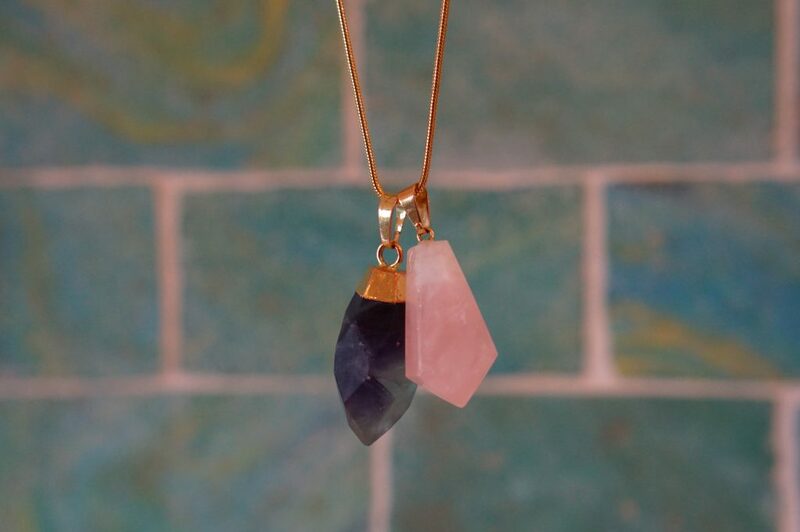 The wonderful thing about the necklaces is that I can hold and rub the crystals without worrying about losing them if I have to quickly let go of them to use my hands. Well that’s how I got started on my crystal journey; I did plan to talk about each crystal in more detail and how I use them but I’m going to put those in separate posts otherwise this one will be a bit too heavy! I’d love to know if you use crystals how you got into them? Were you drawn to them? Gifted them? maybe you found one while travelling or have been brought up using them?